Call us today and we can help you. 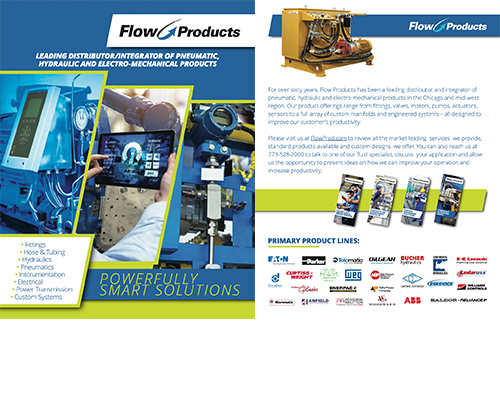 Flow Products represents over 75 industry leading manufacturers. 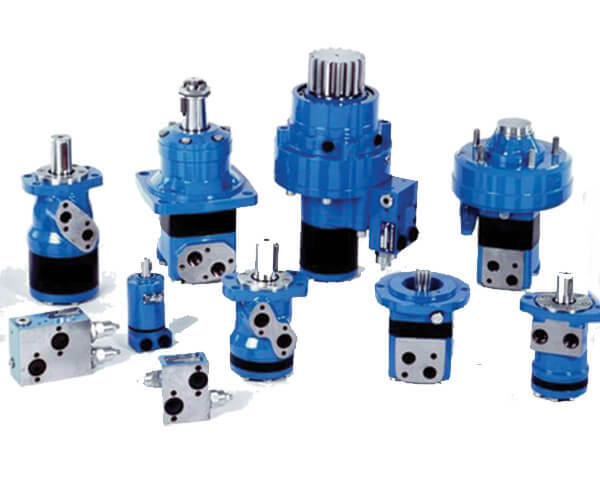 This extensive list of suppliers provides a large portfolio of products that assure proper performance and reliability are met for each application. 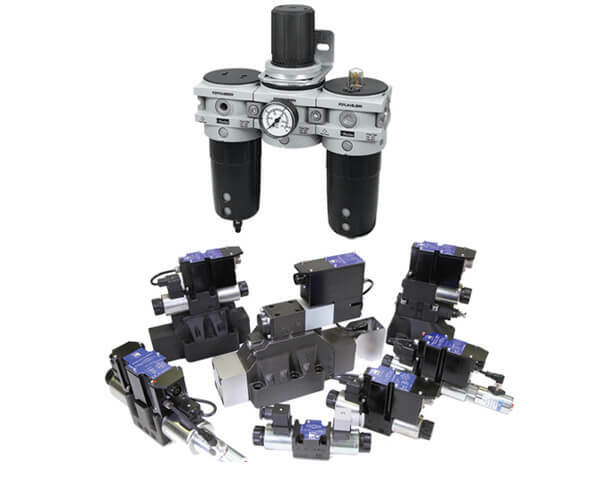 We provide standard hydraulic and pneumatics products, power transmission components, electrical control systems and fully engineered custom solutions. The industries we service range from heavy industrial such as construction to food & beverage. We have the expertise and the right products necessary to meet the challenge of today’s manufacturing environment. Call one of our engineers at 773-528-2000 to discuss your application and learn how we can help solve your hydraulic and pneumatic challenge. 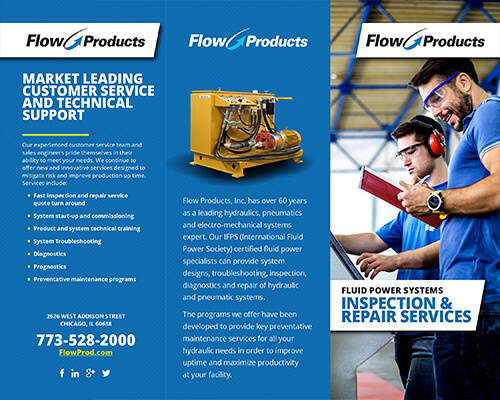 Market leading customer service and technical support. Our experienced customer service team and sales engineers pride themselves in their ability to meet your needs. We continue to offer and innovate services designed to migrate risk and improve production uptime. 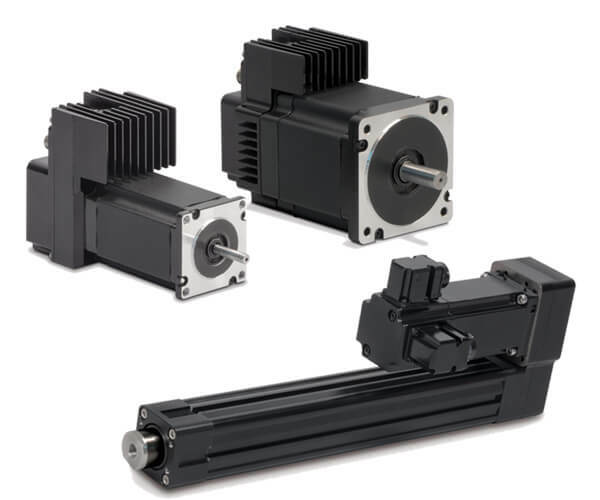 Custom solutions offer many advantages over standard, off-the-shelf components. These include: improved performance, lower overall operating costs, full compliance with engineering specifications and adherence to your application requirements. 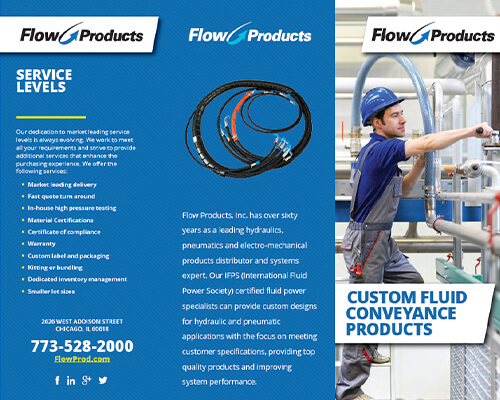 Flow products Inc. has been providing custom engineered solutions to major industries across the globe for more than six decades. 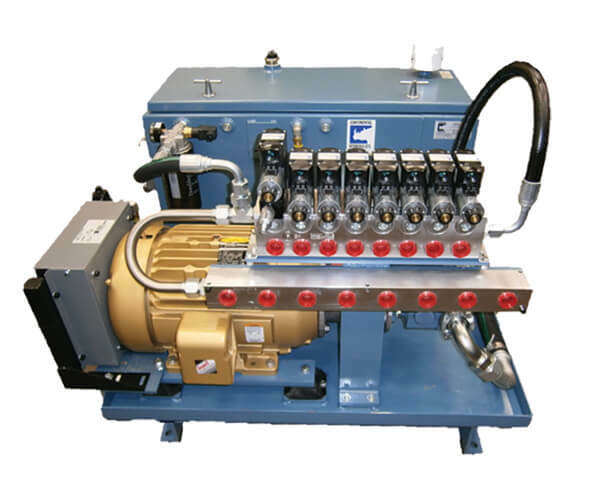 The designs range from valve assemblies, hydraulic power units and multi stage valve manifolds with touchscreen electrical control panels and wireless communication. 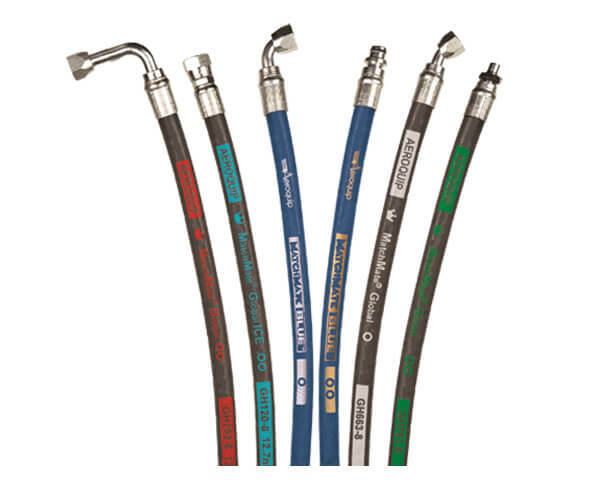 Custom hoses and tubes offer an advantage over standard products as these can be fabricated to the exact specifications required by the application. This will assure the right fit, avoid unnecessary bends and folds, improve performance and extend the life of the product. With our extensive list of features, we are positioned to meet the demanding environmental conditions seen by hoses and tubes in a wide range of industries. Our experience in both design and in-house manufacturing will assure the right product at the highest quality. 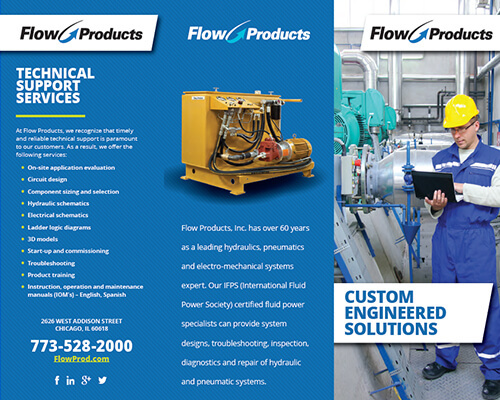 Flow Products, Inc. has over 60 years as a leading hydraulics, pneumatics and electro-mechanical systems expert. We have become a key component in the success of our customers. This valued position is enhanced by the major industry manufacturers we partner with.